At My Taxi India, full day hire service is offered by our team as a small package. The taxi rental service for Noida trip is available for local city usages. The service is widely available on our official website. The Local Full Day service is offered for a range of local trips such as shopping, sightseeing, attending meetings, seminars, visiting hospitals, and a lot more. This is another small package service for local city tour usages. We offer this service for half day car hire services including Airport Transfer in Noida, Car rental service for Marriage, party and event, Corporate Cab Rental in Noida, Railway Transfer, visiting hospitals and a lot more. 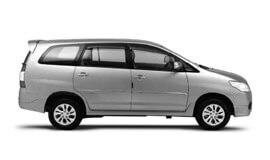 The transfer taxi services at My Taxi India is highly useful for those expecting only pickups and drops facility which precisely means transfer from just one place in Noida to another. Some of these include Airport Transfer in Noida, Car rental service for Marriage, party and event, Corporate Cab Rental in Noida, Railway Transfer, visiting hospitals and a lot more. We also make sure our trained chauffeurs are at the appointed destination in time. In case, you plan for weekend getaways with your partner, pilgrimage for parents or family leisure trip outside the city limits, our team can arrange for a special package for you. We will offer you group rental packages from the city of Noida to various connecting places in close proximity. The cars sent across to you by our team will depend on the size of the group. We have designed this service as the out and out to and fro taxi hire service. The roundtrip package is useful for those who require to and fro from Noida. You may even request for a multiple destinations roundtrip from the temple city. We have designed this package for those who require one way drop to their destination starting from Noida. You may even request for a one way drop for more than one destination from Noida. The package is designed for our esteemed patrons visiting more than one city at a stipulated period of time. Apart from the above mentioned taxi rental packages, we also customize special business tours for our clients. You can also book specialized business meeting tours. These are specifically customized according to the needs of travellers. We ensure premium car rental services to travellers in Noida at highly affordable prices. Our team of experienced, well-mannered and trained chauffeurs are well versed with the knowledge of the local routes and travel destinations. We eagerly look forward to your association and will pull out all the stops to provide you with brilliant taxi rental services. The climate of Noida is similar to that of Delhi. Summers extend from March to June. The weather during this period remains hot. Monsoon season ranges between June and mid September. Winters are chilly owing to the cold waves from the Himalayan region. According to the provisional data of Census India, Noida had a population of 642,381. Noida serves as a major hub for multinational firms outsourcing IT services. Most of the large software and business process outsourcing companies have their main offices in the city. Energy and Power Utility companies also have their corporate offices in Noida. The head office of the Software Technology Park is in Noida. Noida serves as a major hub of industry. The Film city has turned into a hub for major news channels and studios. Commercial activities have increased a lot in the city in recent years. Noida is a wonderful place for tourists. It is home to a number of beautiful tourist attractions such as Botanical Garden, Entertainment City ('Disney land of India'), Noida Golf Course, Okhla Bird Sanctuary, Worlds of Wonder, Akshardham Temple, Pragati Maidan, Damdama Lake, Kalindi Kunj, and many more.